What drives extraordinary innovators to turn their ideas into reality? Often, a deeply personal experience serves as both inspiration and motivation. Peter Akech, a Windows #Insiders4Good Fellow working in Kenya, watched as his brother suffered from a severe skin disorder and struggled to find an effective treatment. It took nearly two years and eight doctors to properly diagnose Peter’s brother, and during this process, he was prescribed many different types of medication. Almost none of the doctors asked whether his brother had taken certain prescriptions before. This experience led Peter to wonder — how many patients, like his brother, were struggling to receive proper treatment due to a lack of complete medical records? Committed to solving this problem, Peter developed Mensa Healthcare, a digital record-keeping system that enables patients to accurately communicate their medical history with doctors. With Mensa, hospitals can transition to digital records, and because the system is based on smart cards, patients can easily bring their records with them to different health clinics. Two clinics have installed Mensa, and Peter is currently working closely with them to tailor the system to their specific needs. Surprisingly, Peter wasn’t an expert at coding when he began developing Mensa four years ago. An electronics and electrical engineer by profession, he didn’t originally have the software development skills needed to launch his prototype. So last year, Peter decided to learn programming in order to complete a minimum viable product that could be tested in a real-world setting. He began teaching himself how to code using Microsoft’s Visual Studio, and he learned languages like VB.NET, ASP.NET, and C# through a variety of online sources. Today, he’s very proud to have achieved proof of concept with his first two clients. This February, Peter also celebrated his completion of the Windows Insiders4Good Fellowship, which awarded him hardware, software, tailored mentorship and support from Microsoft and from the global Windows Insider community. In the true spirit of the program, Peter has lent a helping hand to several of his fellow Insiders4Good. He was able to connect Ange Uwambajimana, a Fellow from Rwanda, with a supplier of medical components for her project, an automatic IV monitoring device. In addition, he has helped Ange design a printed circuit board for her system. A great connector of people, Peter introduced Caleb Ndaka to several schools that may be interested in Caleb’s project, Kids Comp Camp, a mobile training camp for computer skills. 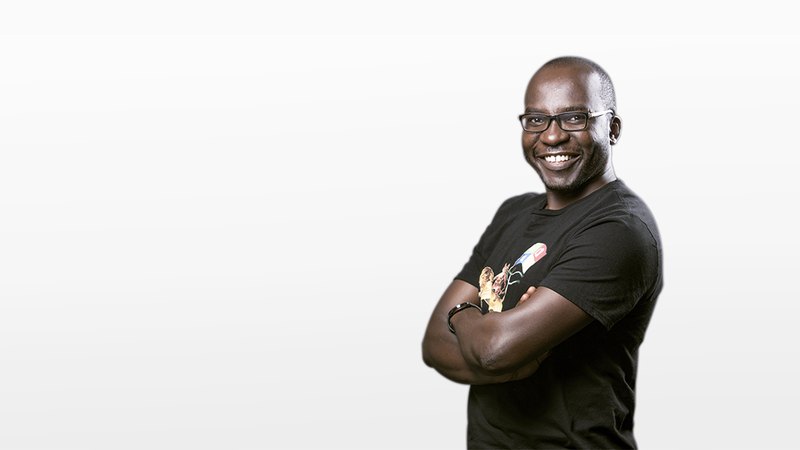 He also shared his network with Insiders4Good John Mugendi, who is working with data science surrounding cancer, and Leah Otieno, who is creating a digital platform to enable tailors and clothing designers to reach wider audiences and more customers. So what else motivates Peter to support his fellow #Insiders4Good and continue striving to realize his vision as an entrepreneur? For Peter, it’s all about perspective. He describes a shot from a documentary film that zooms out from a close up of a person’s eye to above the planet, then the solar system, and finally beyond the Milky Way. Editor’s note: Please join us in congratulating Peter and the East Africa Insiders4Good Fellows! If you, too, are a superstar connector like Peter or want to lend your expertise to these extraordinary entrepreneurs, click here to learn more about the Fellows and how to contact them.